Tim Rackley, a deputy U.S. marshal, watches helplessly as his daughter's killer walks free on a legal technicality. He is suddenly forced to explore his own deadly options, a quest that leads him into the welcoming fold of "The Commission". 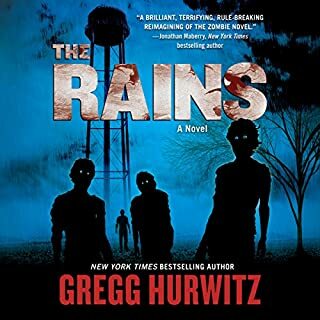 The New York Times bestselling author of Orphan X, Gregg Hurwitz, returns to Creek's Cause to follow the Rains brothers as they fight an alien threat that has transformed everyone over the age of 18 into ferocious, zombie-like beings, in this thrilling sequel to The Rains. Battling an enemy not of this earth, Chance and Patrick become humanity's only hope for salvation. In one terrifying night, the peaceful community of Creek's Cause turns into a war zone. No one under the age of eighteen is safe. Chance Rain and his older brother, Patrick, have already fended off multiple attacks from infected adults by the time they arrive at the school where other young survivors are hiding. Most of the kids they know have been dragged away by once-trusted adults who are now ferocious, inhuman beings. The scion of an old-money San Francisco family, Daniel Brasher left his well-paying, respectable money-manager position to marry his community organizer wife and work at a job he loves, leading group counseling sessions with recently paroled violent offenders. One night he finds an envelope - one intended for someone else that was placed in his office mailbox by accident. Inside is an unsigned piece of paper, a handwritten note that says, "Admit what you've done or you will bleed for it." Patrick Davis is a man with troubles. First his Hollywood dreams crumble, then his storybook marriage hits a snag. Finally, DVDs start being delivered to his house – DVDs which show that someone is watching him and his wife, that the two of them are being stalked and recorded by cameras hidden around and within their house. Then the e-mails start, and someone offers to fix everything, to take the mess his life has become and make it all right. Patrick figures it's the offer of a lifetime. 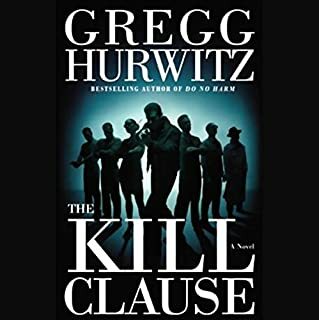 In this powerful follow-up to his action-packed thriller The Kill Clause, Gregg Hurwitz ratchets up the excitement with another page-turner featuring Tim Rackley, a lawman motivated by honor, morality, and justice. Called back into the fold of the U.S. Marshals Service, Tim is tasked with retrieving Leah Henning, the daughter of a powerful Hollywood producer, from a mind-control cult. 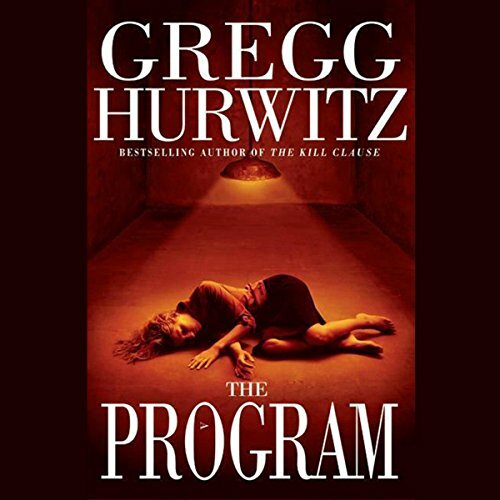 As Tim wends his way deep undercover into an insidious operation called "The Program", he confronts a brand of mind-warping manipulation beyond his worst expectations. Tim becomes enmeshed with a diverse band of characters, from the charismatic, messianic leader T. D. Betters to a cult reject burnout to the intelligent yet highly vulnerable Leah herself, and finds himself caught in a shadowy landscape of lies, manipulation, and terror. At stake: innocent minds, maybe even his own. 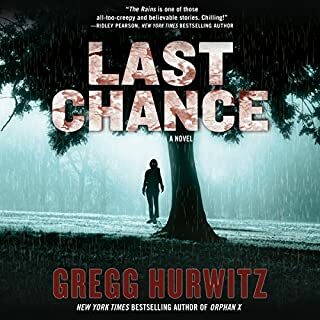 ©2004 Gregg Hurwitz (P)2004 HarperCollins Publishers, Inc. The storyline is very good but the abridgment leaves something to be desired. Much is lost in the translation. It was confusing-especially between the last two chapters. 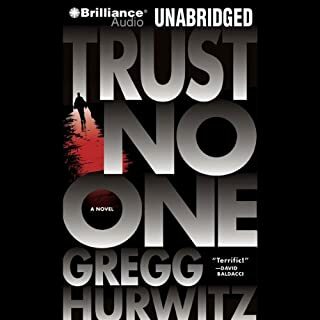 Gregg Hurwitz is one of my most favorite authors...but even he is capable of a lemon every now and then, and this is his lemon. I'm so grateful that my love affair with him started with They're Watching and not with The Program because I'd never have given any of his other books a shot. That would have been tragic, which is also an apt word to describe The Program. Halfway through it, I finally put an end to my suffering and moved on to something else. Sorry, Gregg, but this book isn't worthy of you. I read this one, then devoured all of the rest. Great stuff. Strong recommendation to those who like the genre. If you could sum up The Program in three words, what would they be? Although, I don't believe that cults are that predominant in this day and age, I do believe that we are open to a lot of mind controlling influences. This is a good story to make you think. If cults interest you, this book is for you. What did you like best about The Program? What did you like least? 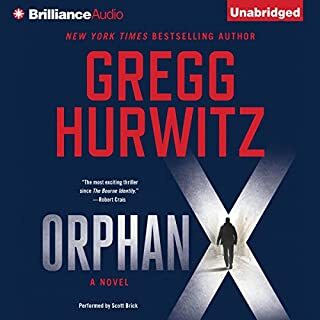 I like Greg Hurwitz books, as I find he does a good job of creating characters. I dislike the idea of cults, to the extent that I found this book disturbing. What was one of the most memorable moments of The Program? What about Dylan Baker’s performance did you like? He interpreted the characters well. His voices, as he interpreted the characters, almost created physical descriptions for me. I found this strange & rather fascinating, as this has happened only rarely, for me. Did The Program inspire you to do anything? The story's subject matter is not one I enjoy, or even want to read about/listen to. As a result, I didn't finish it ... something that rarely happens. I just did not like the story and found the narrator boring. My mind wondered quite a bit during the story because of the narrator. Would you try another book from Gregg Hurwitz and/or Dylan Baker? Thankfully I read the Orphan before this trite mess. Skip this book and go straight to his latest, The Orphan. 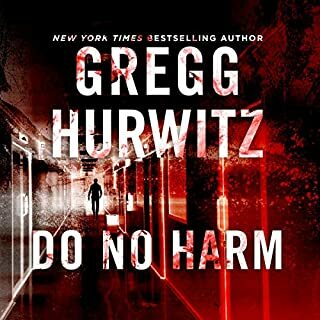 What could Gregg Hurwitz have done to make this a more enjoyable book for you? Would you listen to another book narrated by Dylan Baker? Had to be the weakest minded special forces trained individual on the planet. The reaction to the cult's indoctrination was excruciatingly bad and unbelievable. The inability to get a warrant was also a farce. ....to learn how vulnerable, how very susceptible we are when we're unhappy. Unhappy, because we haven't yet figured out who we are and what we can do.